Now that Gray Attempt's hind-end problems appear behind him, trainer Jinks Fires of Hot Springs said Sunday morning that he's looking ahead to the $1 million Arkansas Derby (G1) April 13 at Oaklawn. 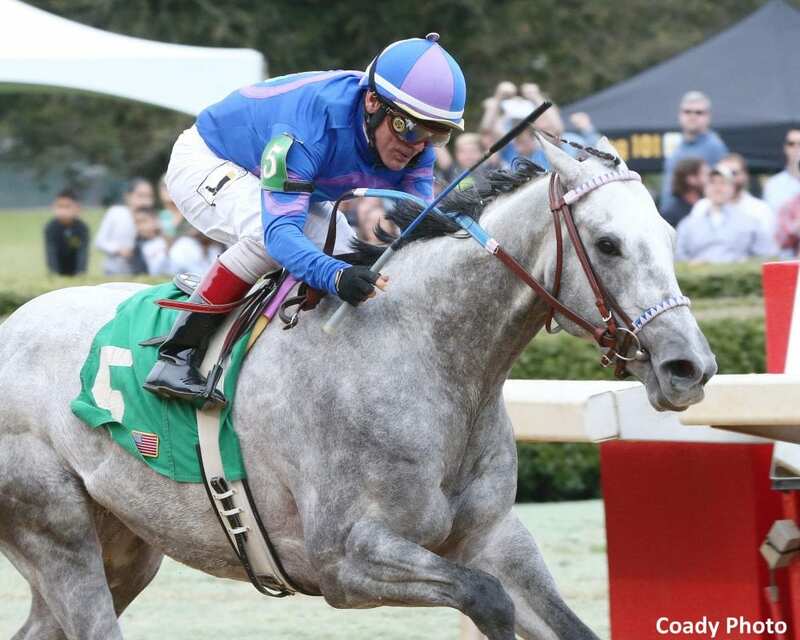 Gray Attempt is back on the Arkansas Derby trail following a front-running 3 ¼-length victory in the $125,000 Gazebo Stakes Saturday afternoon. Ridden for the first time by Jon Court, Gray Attempt covered 6 furlongs over a fast track in a sharp 1:09.72 and paid $5.20 as the 8-5 favorite. Fires had wanted to run Gray Attempt in the split $750,000 Rebel Stakes (G2) March 16 – a 1 1/16-mile race that was the final major local two-turn Arkansas Derby prep – but issues with the colt's hind end forced him to call an audible and cut back to a sprint. Gray Attempt was injured, Fires said, when he was bounced around going into the first turn of the $500,000 Southwest Stakes (G3) at 1 1/16 miles Feb. 18. He finished 11th. Fires said Gray Attempt's treatment included ice, whirlpool and Epsom salt. The speedy gray colt trained a couple of days in kinesiology tape, the first time Fires said he's used the product designed to combat muscle soreness on one of his horses. “It was like coming out of something nice and the other one coming out of a war,” Fires said. Gray Attempt, in his two-turn debut, won the $150,000 Smarty Jones Stakes Jan. 25, Oaklawn's first of four Kentucky Derby points races. Gray Attempt concluded his 2-year-old campaign by winning the $75,000 Sugar Bowl Stakes at 6 furlongs Dec. 22 at Fair Grounds. This entry was posted in Triple Crown and tagged arkansas derby, gazebo stakes, gray attempt, jinks fires, Jon Court, Oaklawn, oaklawn park, Rebel Stakes, Southwest Stakes by Press Release. Bookmark the permalink.